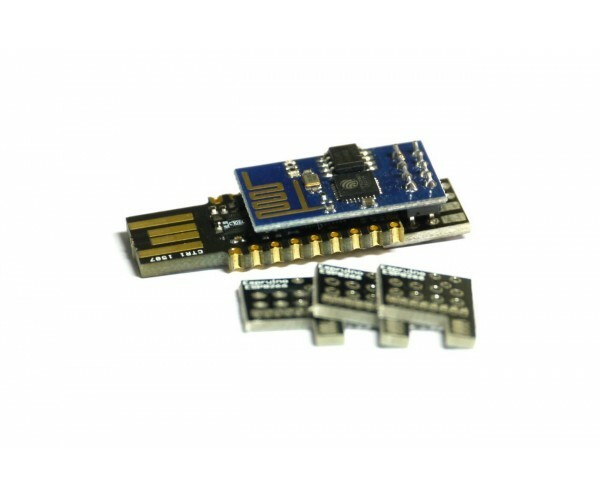 This is a tiny little PCB that lets you solder an ESP8266 ESP01 WiFi module onto your Espruino Pico, giving you WiFi access. This is just the PCB. WiFi module and Espruino Pico not included! The ESP8266 only needs 4 wires to be connected, but this lets you put everything together into a very small volume. It also has space for a voltage regulator and capacitor if you need them. Note: This is the new version of the WiFi shim (pictures will be updated soon). 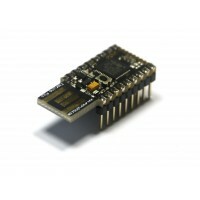 It's designed to be easier to solder onto pinned boards, while also bringing out the RST, CH_PD, GPIO0 and GPIO2 pins which allow the ESP8266 to be put into low power modes.